Sometimes I wonder if everyone has a strong bond with their home state as I do. They must, right, even if they’ve moved away? Something embedded in us that makes us love the place we grew up, that enriched us, molded us, the place we call home. For me, that place is Maine. The snow falling on the pines, the call of the loons on the lake, the homemade whoopie pies and ripe blueberries – every season, every part of this special place, is home to me. And I can tell you that there’s no better feeling after a long trip than the wheels rolling across the Piscataqua River Bridge into the land that’s just the way life should be. Some of you might remember that I had a slight quarter-life crisis and made a list of the 25 (26) things I was going to do while I was 25. I only accomplished half of the list, but one of the list items was extra important to me because I felt like it was a rite of passage, especially as a Mainer. 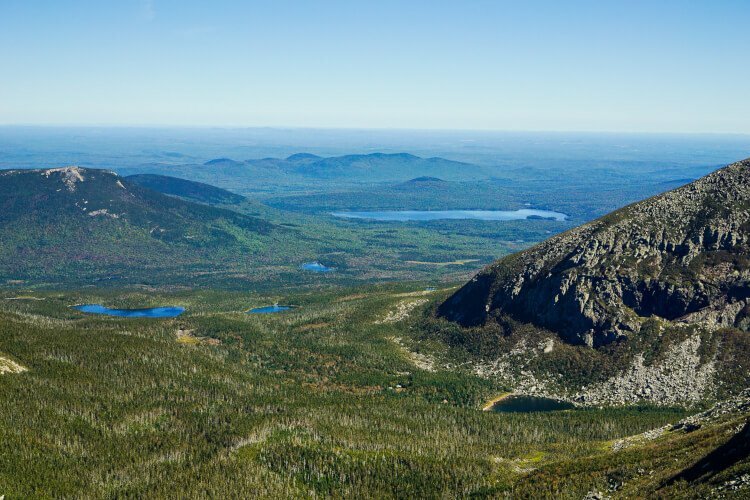 Because in the 25 years I’d been alive and dwelling in this beautiful state, I’d never climbed Mount Katahdin. I’m not a super fit person, because cupcakes, I knew this monstrous mountain wasn’t something to be taken lightly, but I knew I could do it. But not everyone thought I could. My parents, who believe in me and support me through pretty much everything, didn’t think I could. So here’s the deal, the closer I got to our climb date, the more I was dreading it. I spent the day before the hike with my parents at the Common Ground Country Fair, and when I mentioned it, I got that I’ll believe it when I see it look. And if there’s one thing I really enjoy, it’s proving people wrong 😉 However, I was secretly hoping my husband might forget to set the alarm, and we would wake up late and have an excuse, but he’s always on top of those things. So we put on our hiking boots, packed our backpacks, grabbed our Poland Spring® Brand 100% Natural Spring Water and headed up I-95. 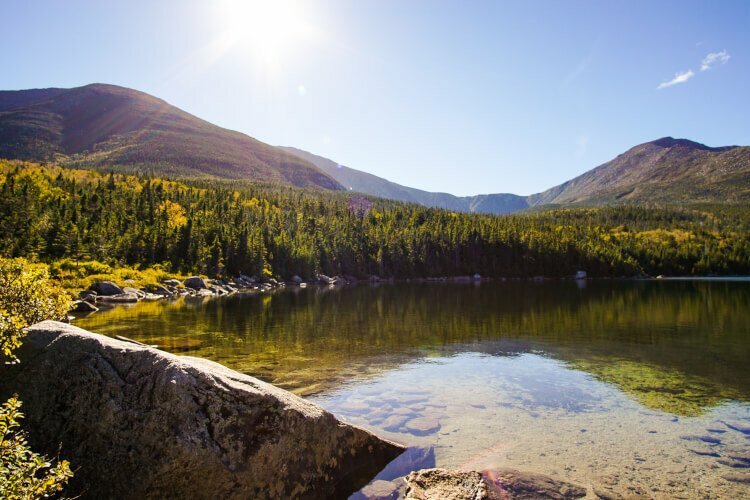 Katahdin was given its name by the Penobscot tribe, and it means The Greatest Mountain. 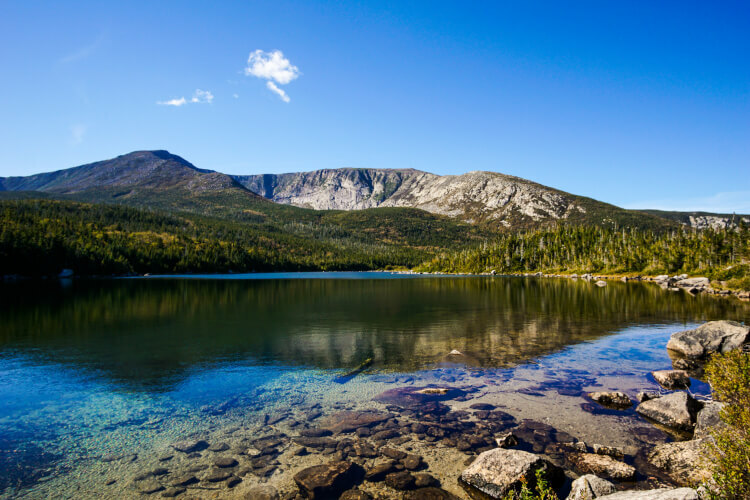 It’s the tallest mountain in Maine and the northern terminus of the Appalachian Trail located in Baxter State Park. The park is known to be a very spiritual place, a region thriving on pure nature. There are few things as “Maine” as Mount Katahdin: lobster, flannel, and Poland Spring® water. 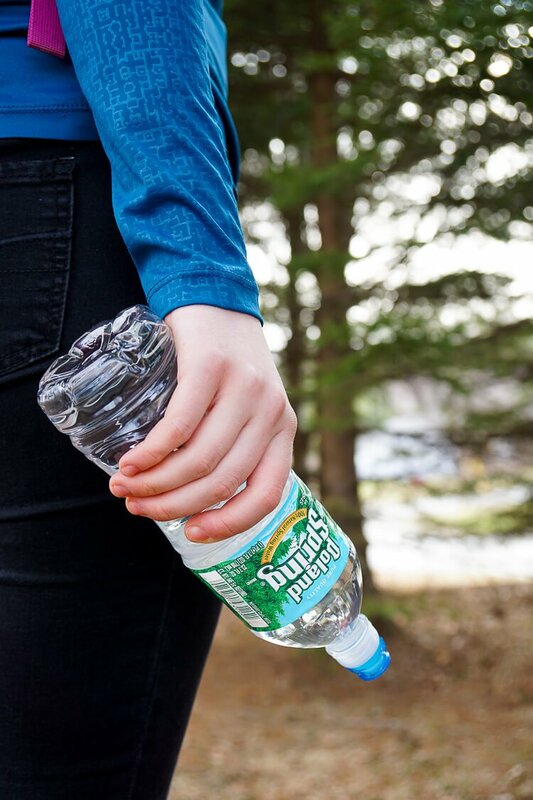 Since 1845, the year before Thoreau scaled Katahdin, Poland Spring® has been naturally sourcing water from carefully selected Maine springs based on geological formation, mineral composition, quality and taste, and distributing it throughout the Northeast. About 40 minutes into our hike, I was so thankful for that bottle of pure Maine goodness, and I was slightly ready to turn around. But I couldn’t give up though Matt was more than happy to let me since he hates hiking. We were already there and on the trail; it was going to be a beautiful day and it was now or never, right? So we pushed on. We had parked at Roaring Brook Campground, hiked the Chimney Pond Trail for 3.3 miles before reaching the pond and heading up Saddle Trail for 2.2 miles. The last half mile was definitely the hardest, .25 miles of steep slide and then .25 of slight incline, which you would think would be easy, but it’s not. Being a Mainer has in part defined who I am. My work ethic, passion, and taste for adventure were all shaped by the trees, streams, and rugged coastline of this place. I thought the mountain would let me accomplish one more thing by getting to the top, but instead, it grounded me. You see while we got to the top, we didn’t make it to Baxter Peak, though I could see the sign, I knew my body was at 50% and I still had 5.5 miles to walk back. That was the day I learned that just because you climb a mountain doesn’t mean you have to get to the highest point to be successful, sometimes the success is in finding out that you had it in you just to try, to get where you did, and understanding yourself better. We all have mountains to climb, figuratively or literally, and even if everyone tells you you can’t make it to the top, try anyway, the hike will make your stronger. Poland Spring® has been a trusted part of Maine history for more than 170 years. Did you know that some bottles hit shelves less than 24 hours after they’ve left the spring, that’s incredibly fresh! 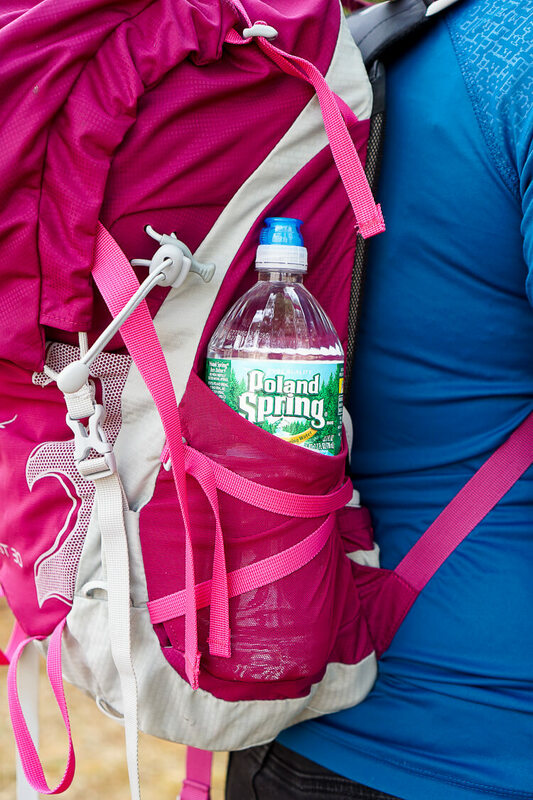 How do you celebrate living and exploring in Poland Spring Country? Do you have a favorite outdoor activity here in the Northeast? Planning a trip to Maine, here are some things to do! Don’t forget to follow Poland Spring® on social media and tag your best Maine and New England moments with #PolandSpringCountry! This is a sponsored conversation written by me on behalf of Poland Spring® Brand 100% Natural Spring Water. The opinions and text are all mine.